Just beautiful Cazro, all those techniques created a really lovely card. Thanks so much for joining our Monochromatic theme at Stampalot Challenge this week month, good luck and hope to see you again. Fab greens Cazro! Lovely card. Nearly missed this one! Stunning focal point on this card. Its looks beautiful, love the techniques you described and sll your shades of green. 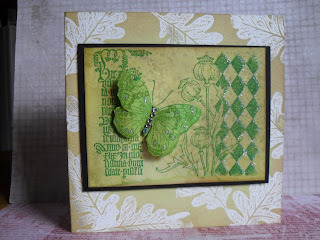 Very pretty, great stamping. Thanks for joining us at Sir Stampalot this month. Another lovely card Caz, love all your techniques you have used and the glitter and glimmer ! 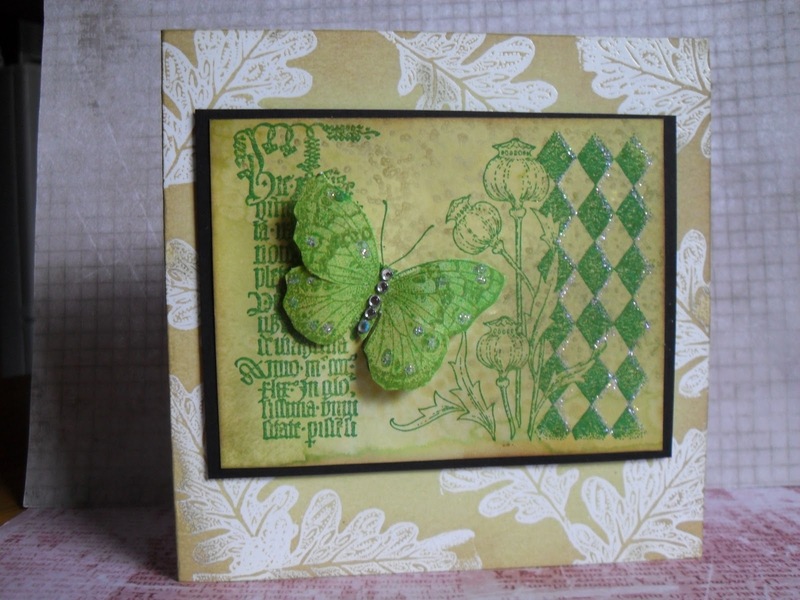 Wonderful green creation, love the butterfly. Love this, so much detail in there, it all comes together beautifully!